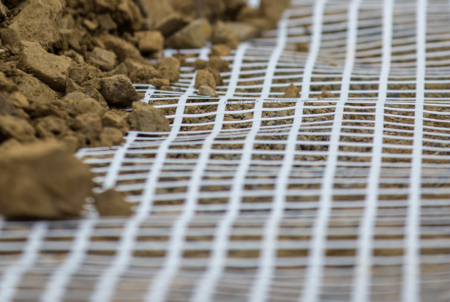 SecuGrid® Geogrids are used for stabilisation and reinforcement of both pavements and foundations. 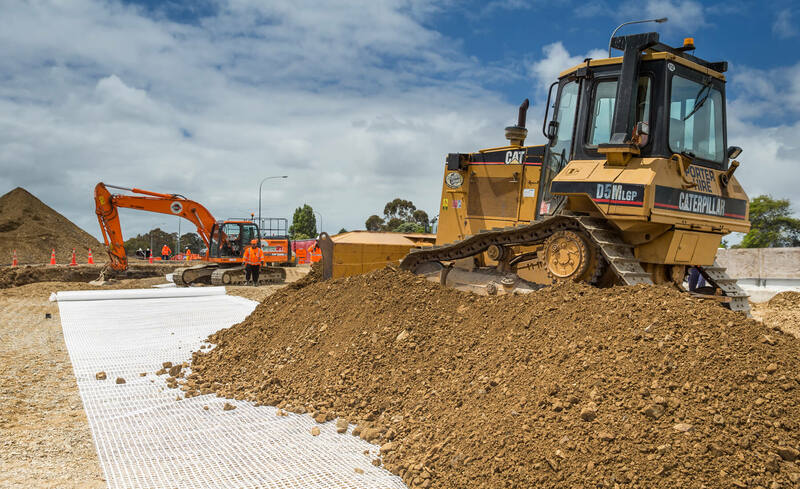 This geogrid is designed to interlock with the aggregate placed above it to provide stabilisation and bearing capacity improvement to soft subgrades and also reduce rutting in a pavement application. SecuGrid absorbs tensile forces induced into the soil and distributes the stresses through the high tensile strength bars. This transfer of forces take place by two distinct modes: interlocking of the granular soil into the grid apertures which physically restrains lateral movement of the granular base course material and frictional force transfer between the soil and the wide, flat, structured bars of SecuGrid. SecuGrid has been extensively tested both in controlled laboratory tests and large-scale field trials to provide accurate design data for the engineer. 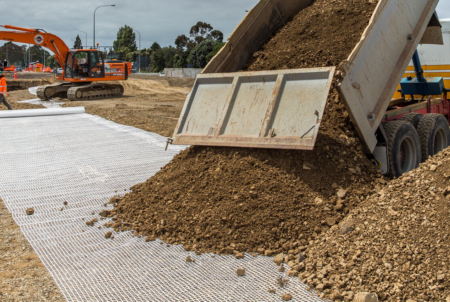 Independent tests both in New Zealand and overseas have confirmed that SecuGrid can outperform other pavement geogrids in performance trials. Contact Cirtex® for more information and details of these performance trials. 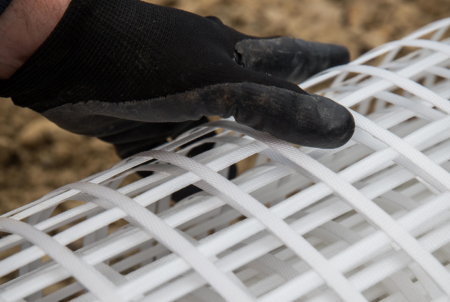 SecuGrid geogrids have their main design strength in two directions, and also demonstrate excellent radial stiffness. Although the apertures of the SecuGrid are square, the geogrid strength and stiffness are measured in every direction around the radial diagram; including diagonally across the bars. SecuGrid® is a registered trademark of Naue Gmbh & Co. Kg registered in Germany. What is SecuGrid used for? 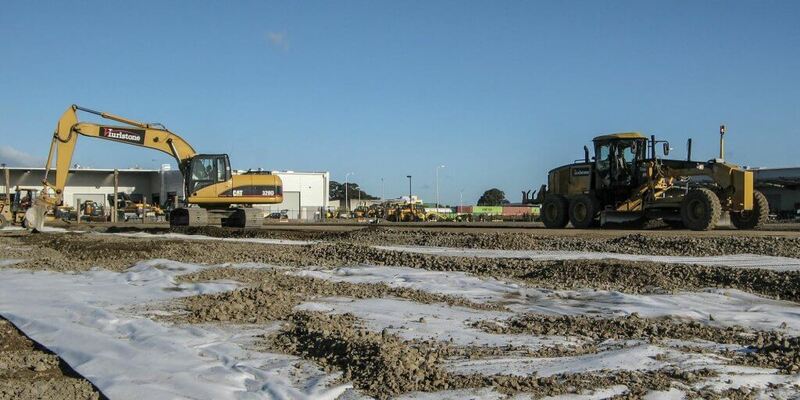 Stabilisation and reinforcement in pavement and foundation engineering. 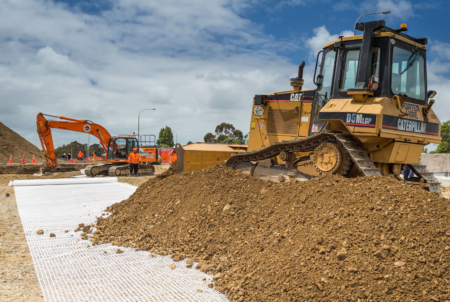 SecuGrid works by interlocking with the aggregate and providing strength to the aggregate at a very low strain. The function is stabilisation and reinforcement by lateral restraint of the aggregate. 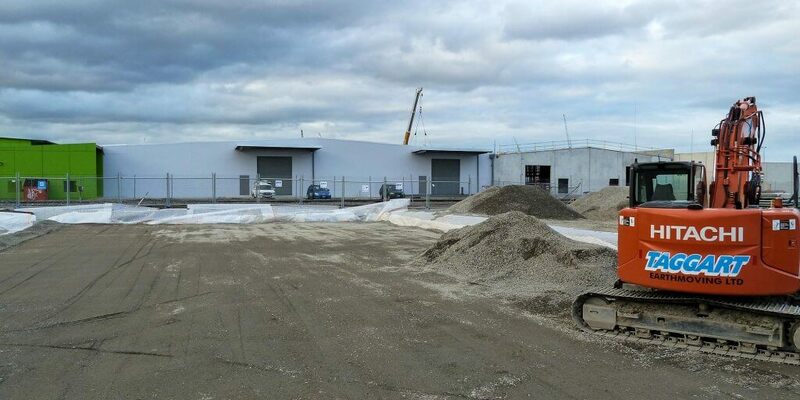 Does SecuGrid rely on the Tension Membrane effect? Does SecuGrid have to be pre-tensioned? 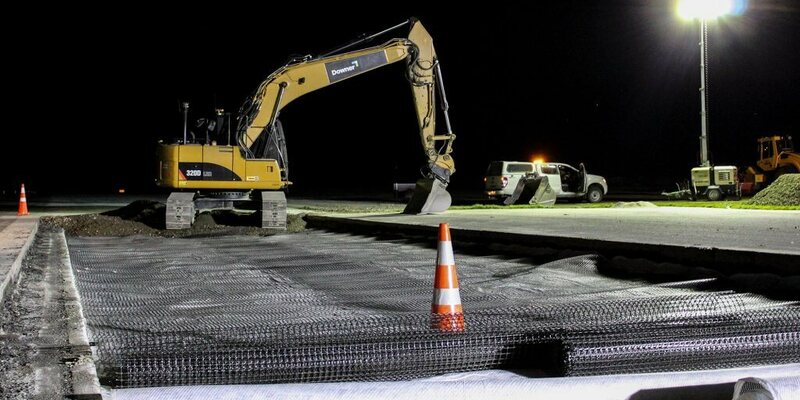 No, it is not required to apply stress or induce strain in the geogrid during installation. 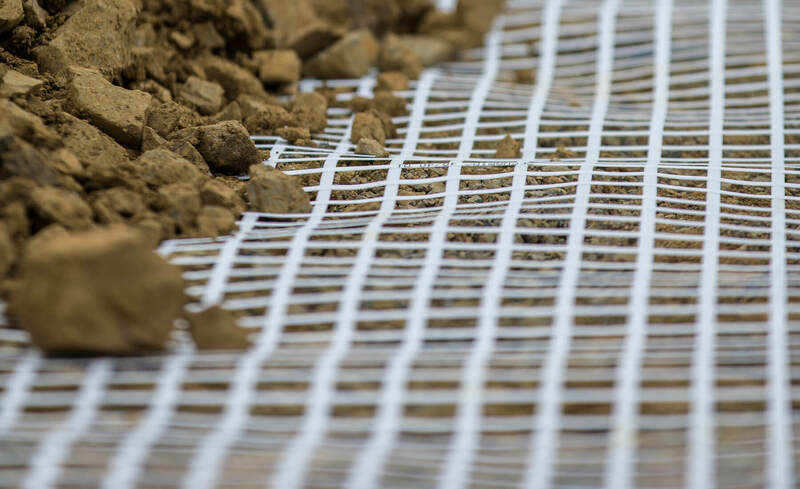 However, it needs to be laid flat with folds and wrinkles removed as with any geogrid product. 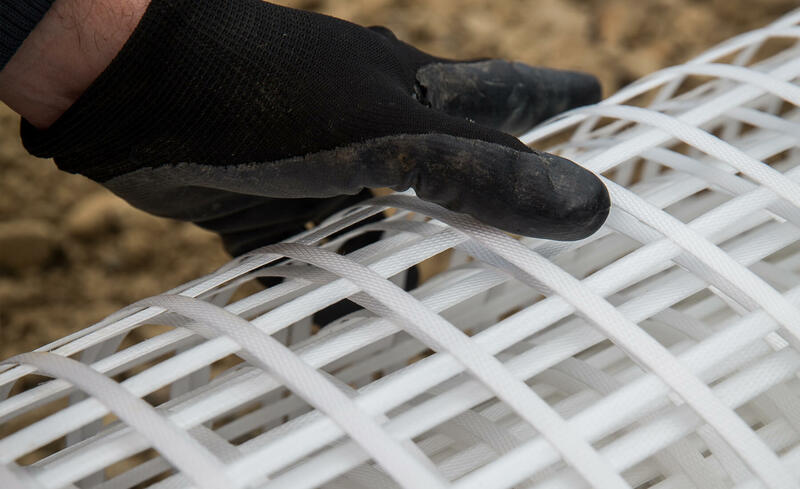 Does SecuGrid outperform Triaxial geogrid? Both manufacturers claim significant performance benefits, however extensive independent testing has also been done without sponsorship by the manufacturers. Contact Cirtex for information on these independent performance trials.